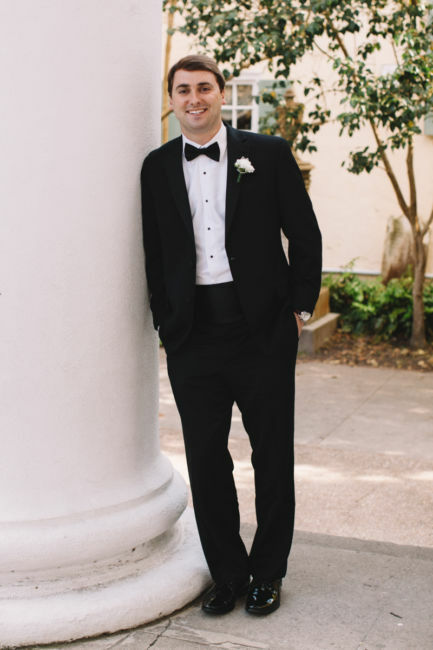 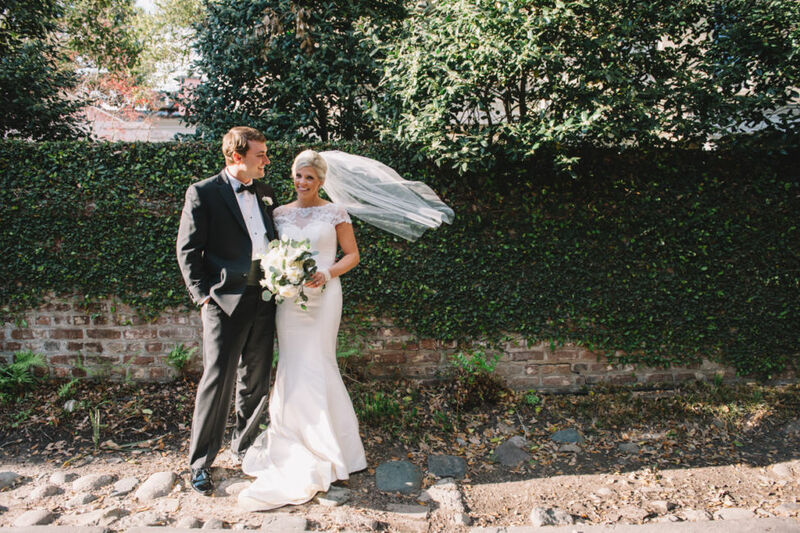 A beautiful bride, handsome groom, gorgeous Charleston day and LOVE was definitely in the air! 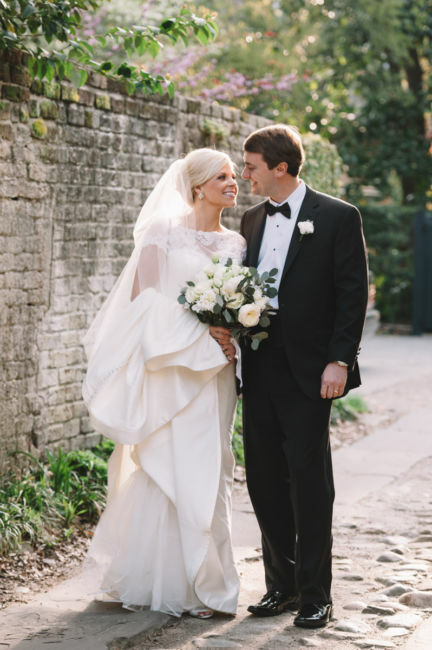 Lindsay met Walker when he entered her place of work to interview for a job. 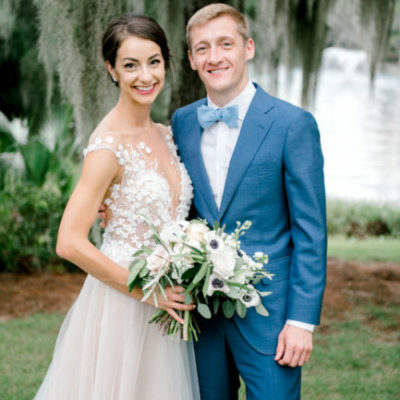 Walker did accept the job offer and it was clear both Lindsay and Walker had an immediate connection. 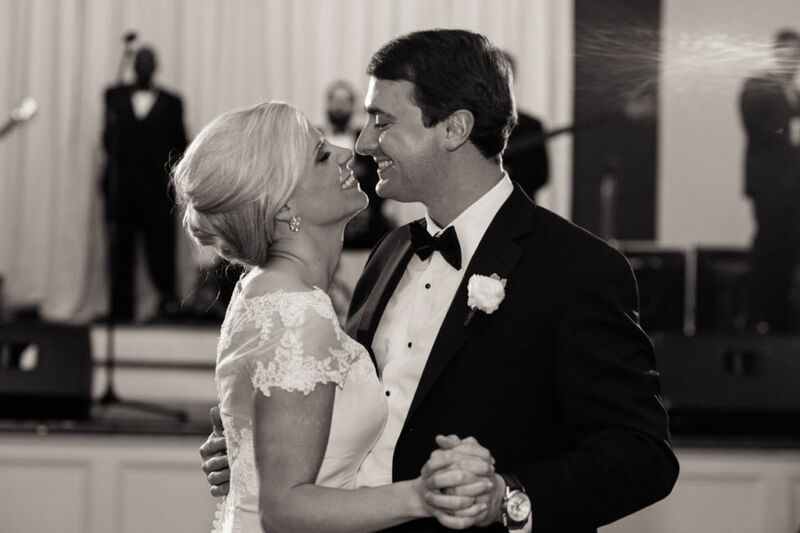 But, a relationship with a co-worker isn’t always ideal, although even Lindsay’s office mates thought that Walker would make the perfect boyfriend. 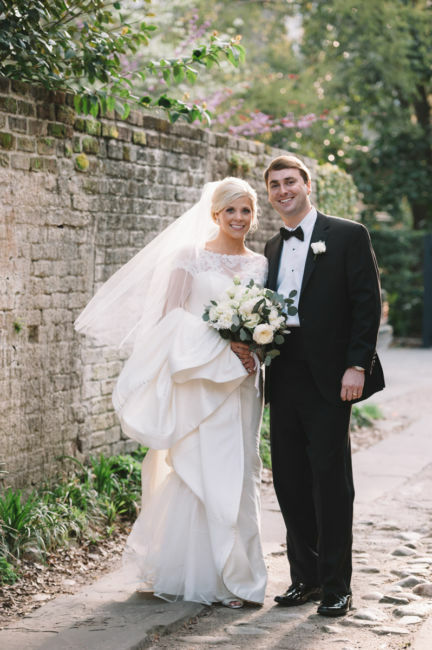 After Lindsay left their mutual job to pursue her dream of becoming a dental hygienist, Lindsay and Walker’s lowcountry serious dating and love began. 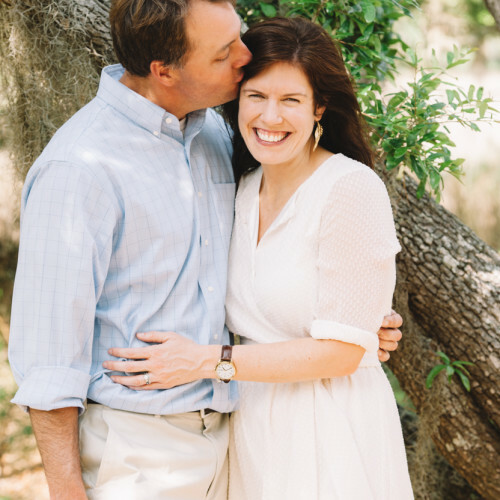 Walker proposed the day after Valentine’s Day on Dewees Island. 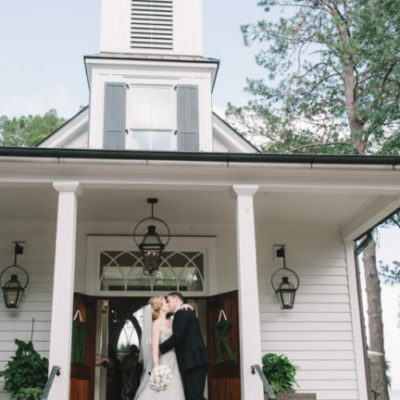 Dewees has always been a special place for this couple, since both of them have spent birthdays, holidays and time with family there. 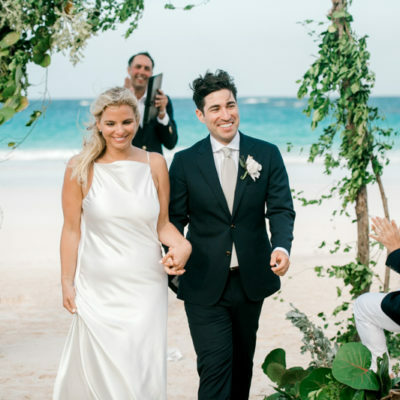 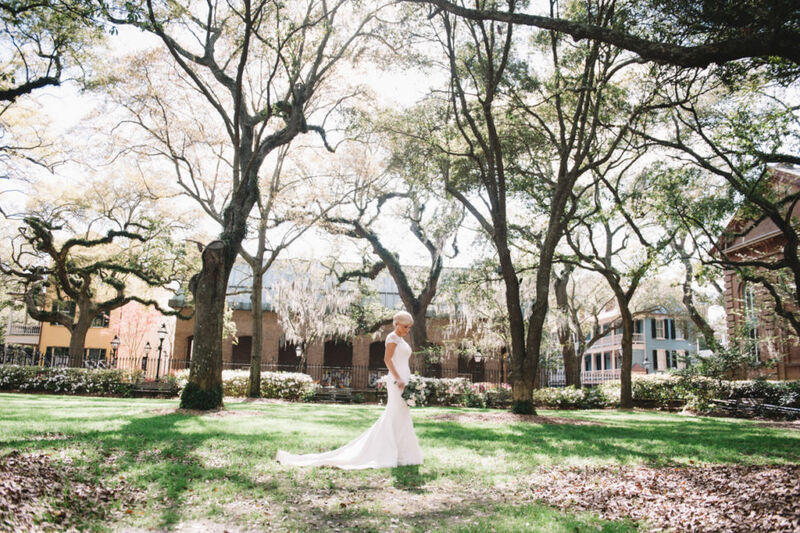 The couple’s favorite spot on the island is a boat dock which extends into the waterway and in this spot Walker asked Lindsay to be his wife. 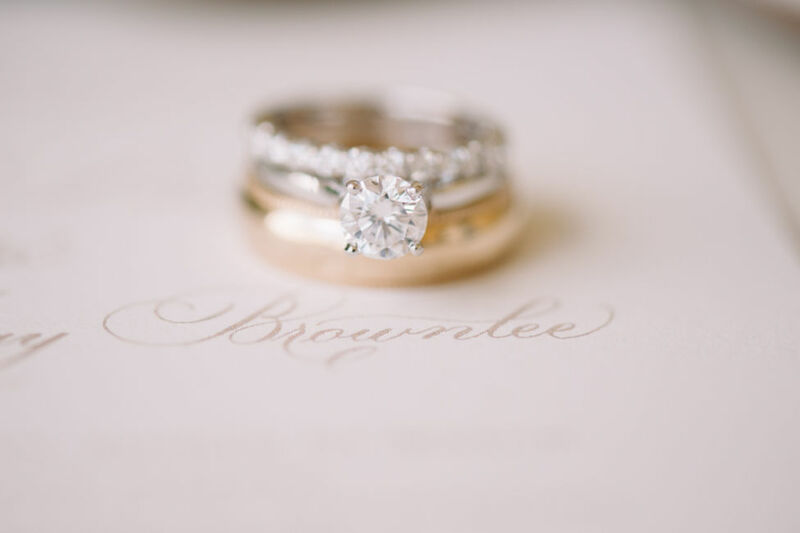 Yes, yes!! 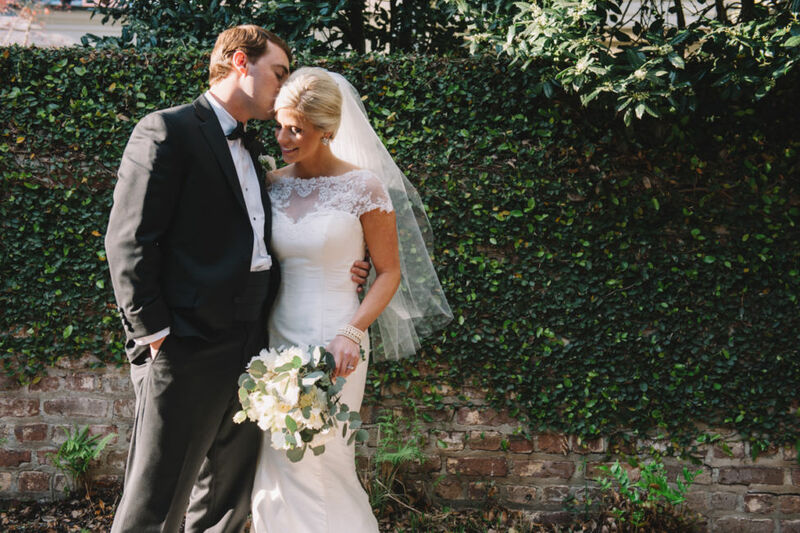 Lindsay and Walker are the perfect match and both are so in love with life! 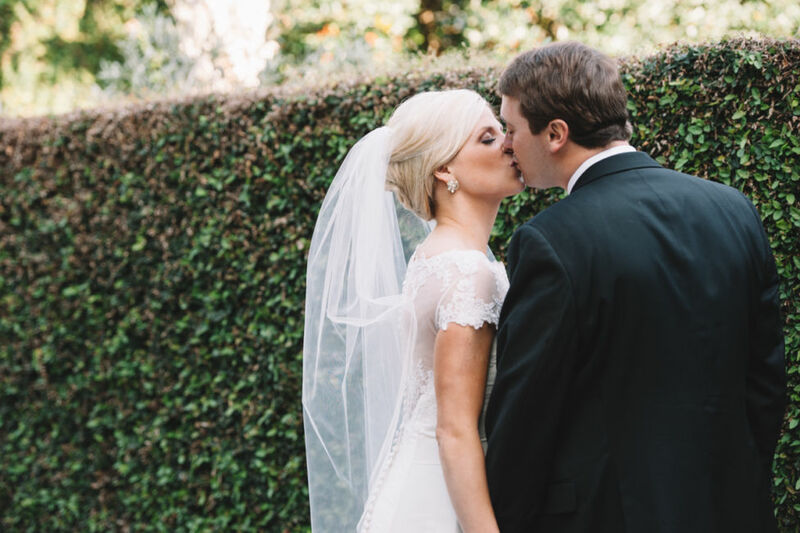 These two can even finish each other’s sentences; it is amazing how in tune they are with each other. 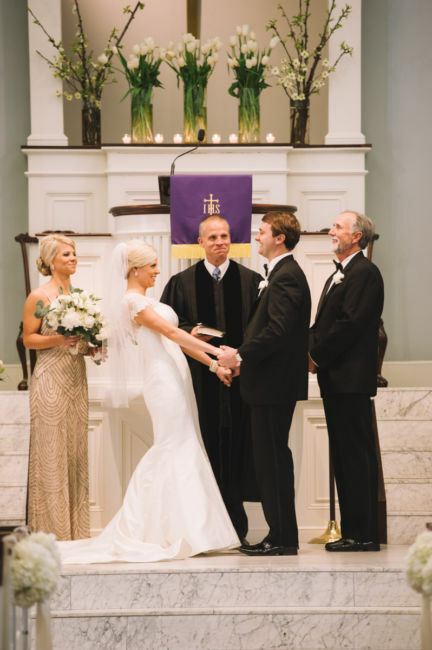 Before Lindsay and Walker knew it, the big day had arrived! 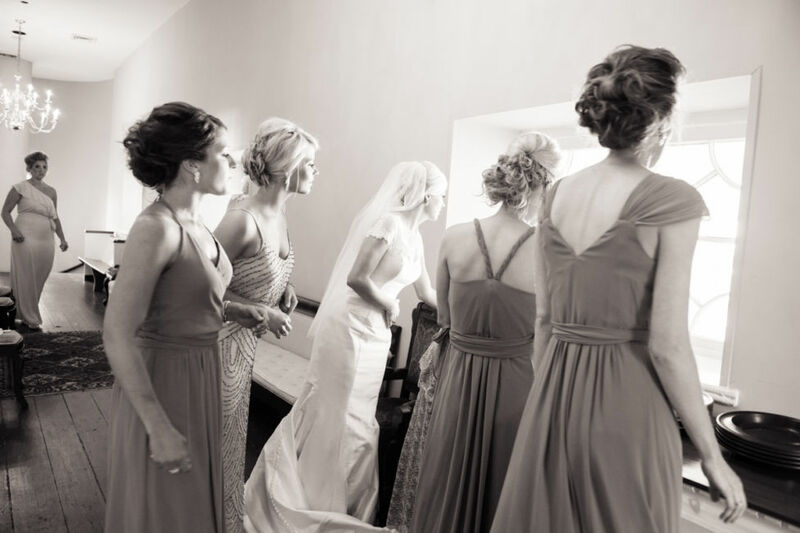 Surrounded by her bridal party of best friends and twin sister the bride happily dressed for the day. 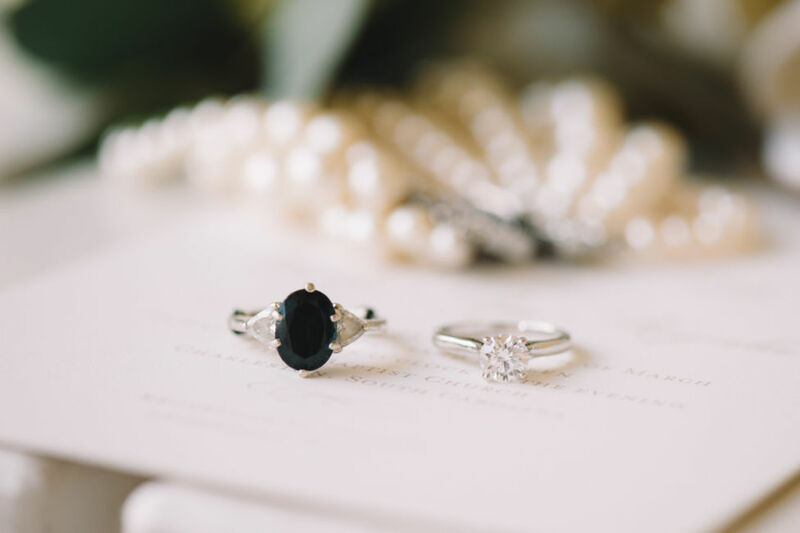 Lindsay slipped her (paternal grandmother) Granny Lou Lou’s sapphire ring on her right hand. 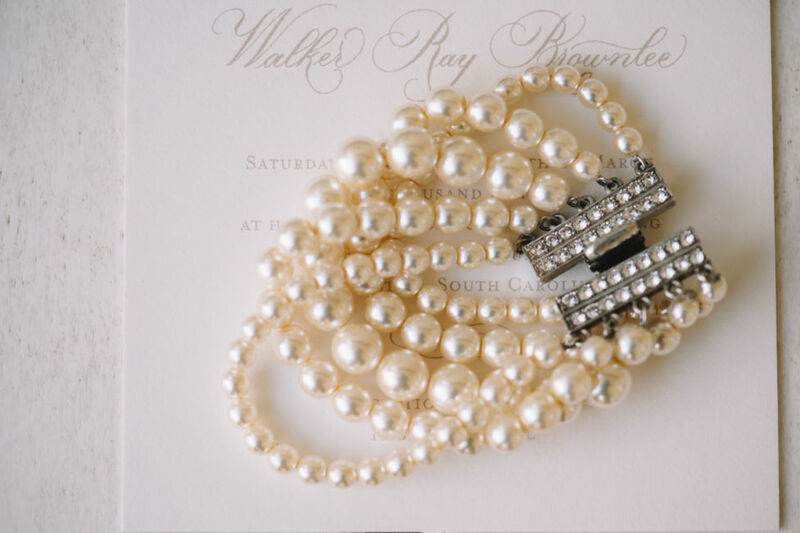 Next, she placed on her wrist the beautiful, surprise gift of a pearl bracelet from her father. 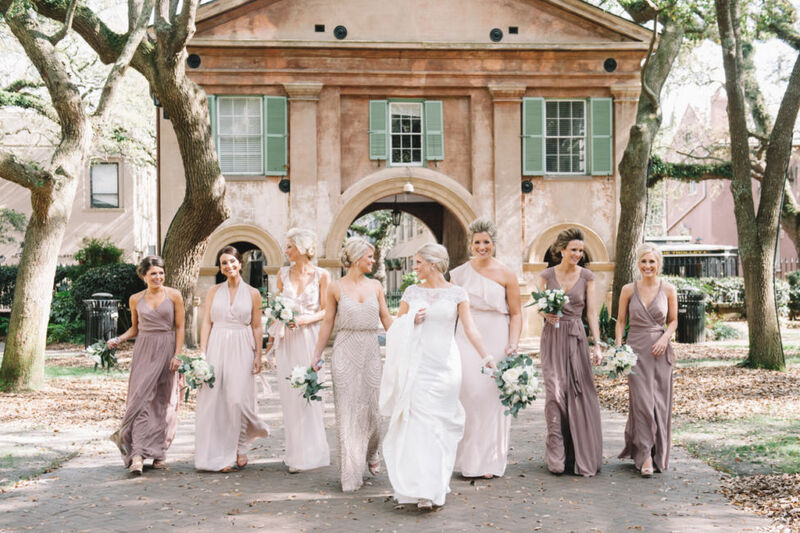 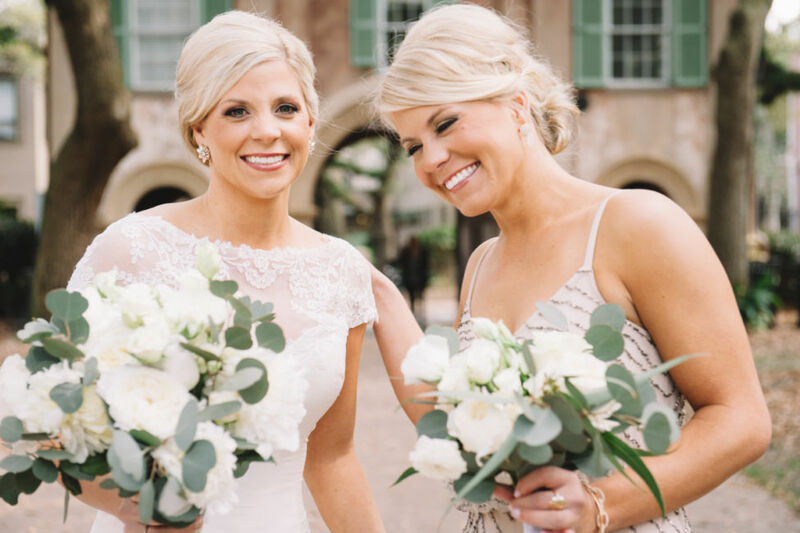 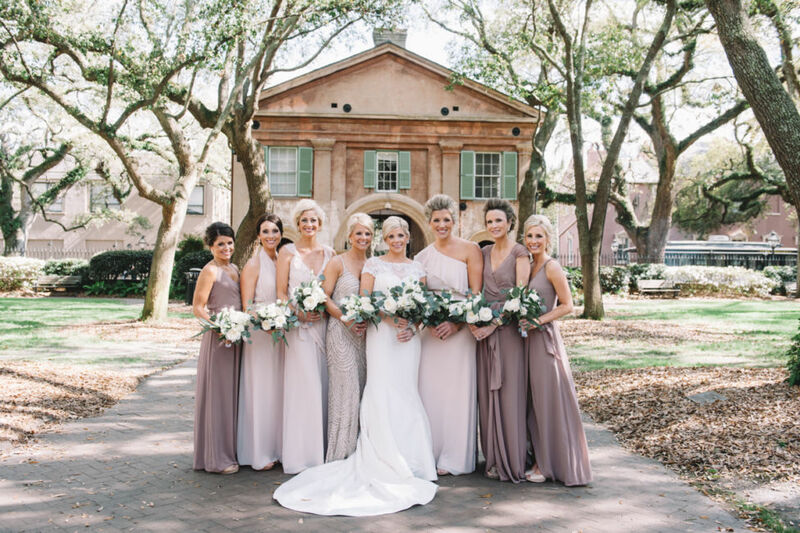 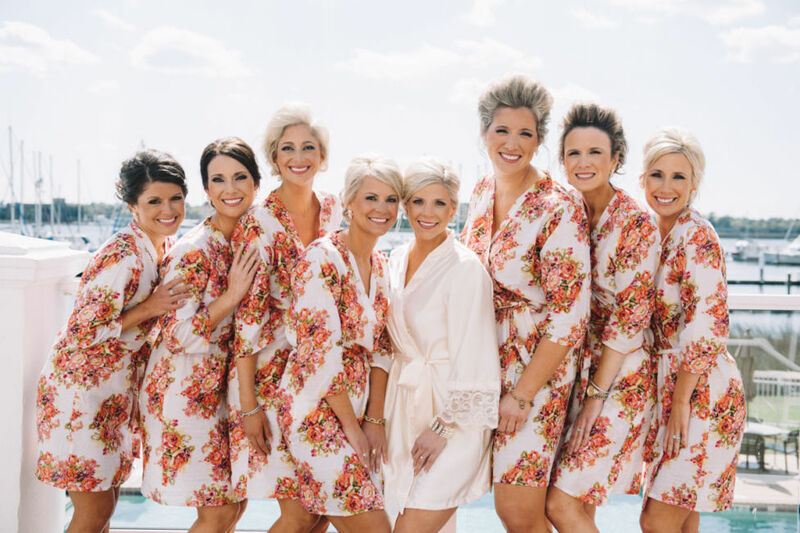 The Charleston Trolley transported the bridesmaids and bride’s immediate family members to the College of Charleston’s Cistern yard where the Spanish moss drapes the live oak trees around Randolph Hall. 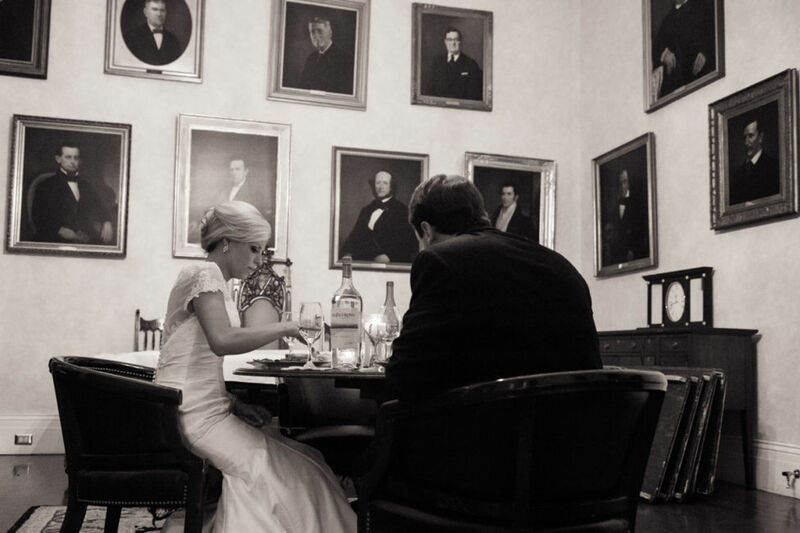 A perfect setting with beautiful subjects!! 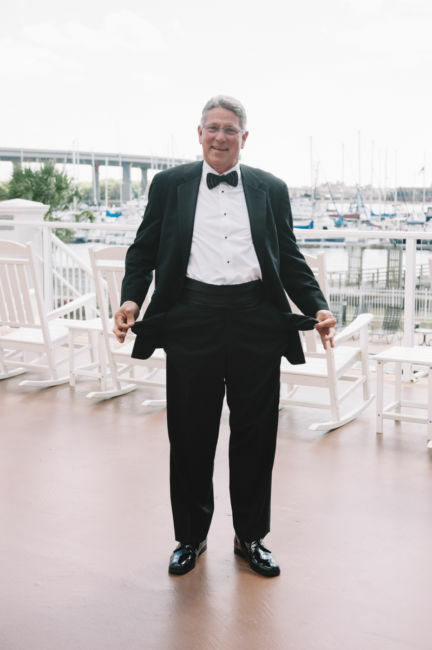 The Father of the Bride continued a family photo tradition by posing for a picture pulling his pockets out (as if he had no money left). 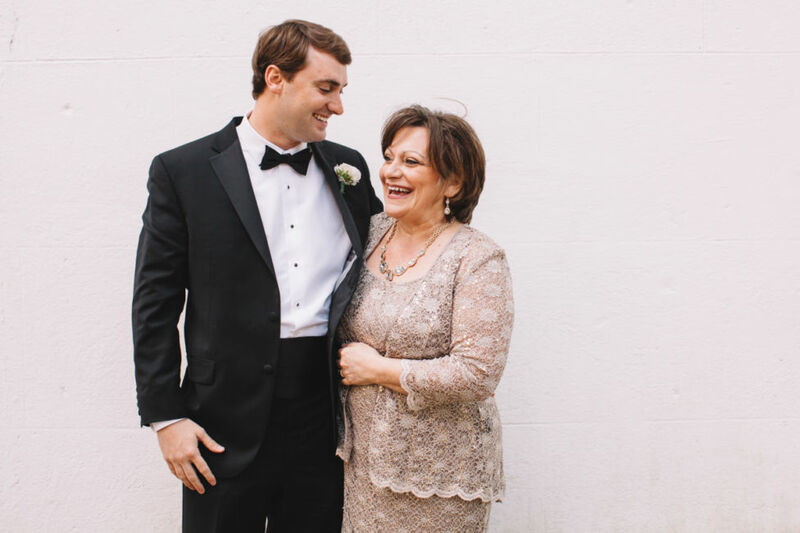 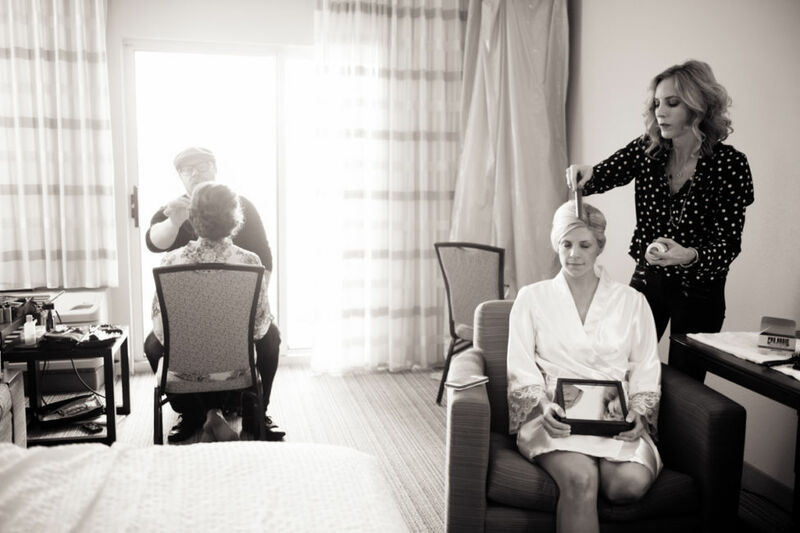 The Mother of the Bride has a picture of her father on her wedding day doing the very same thing! 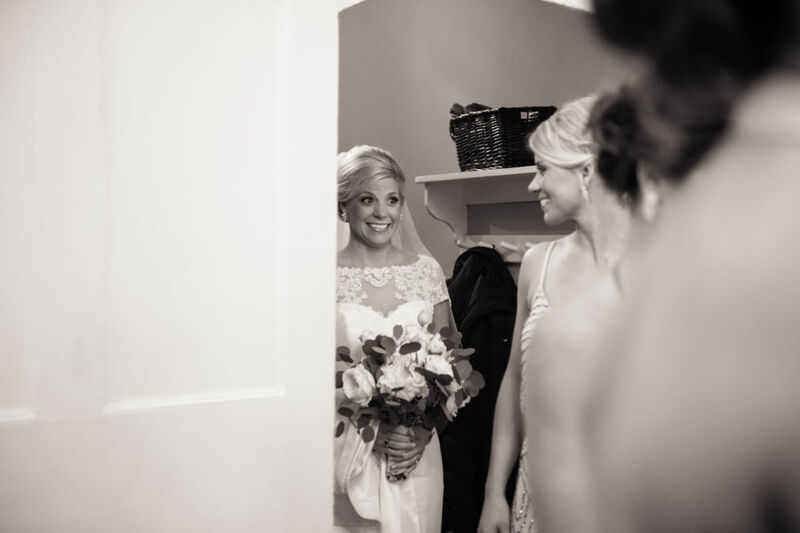 Lindsay’s heart started to race, she was ready. 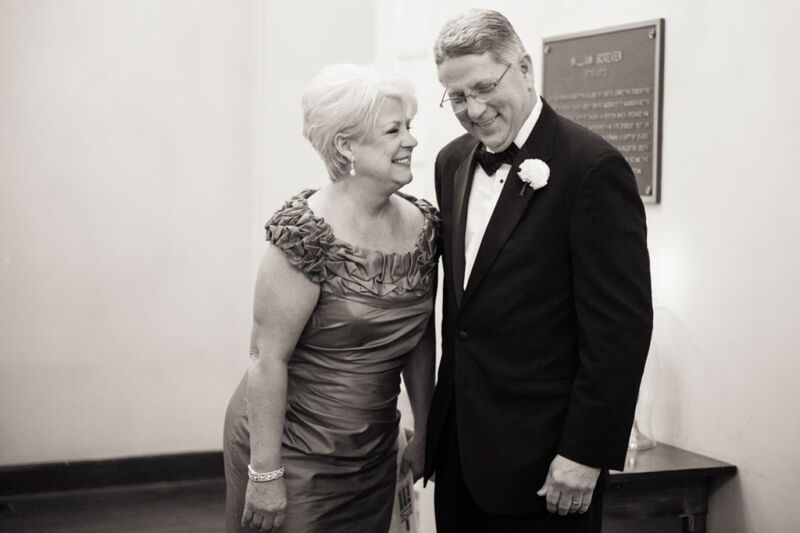 Time to ride the Trolley to the church! 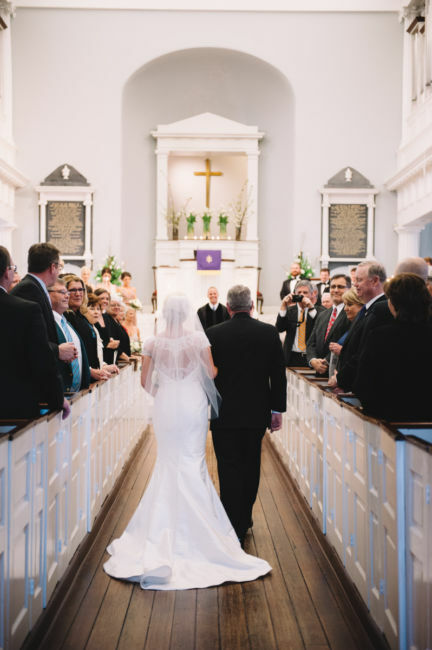 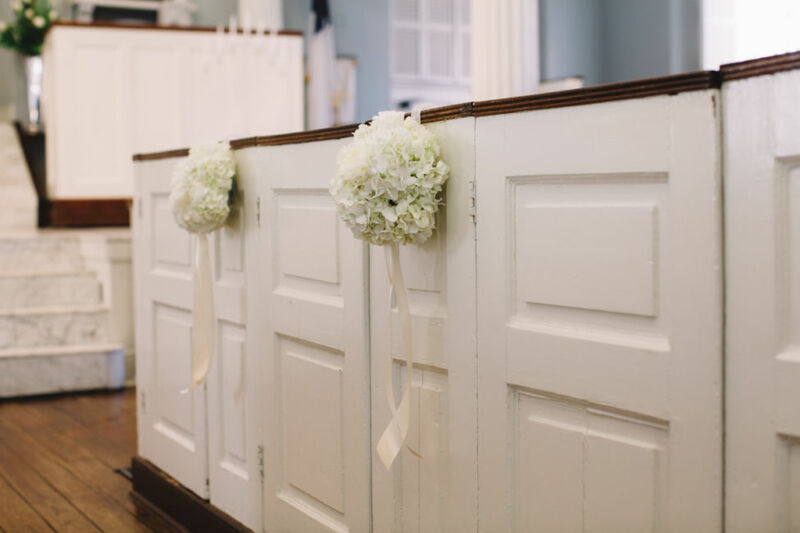 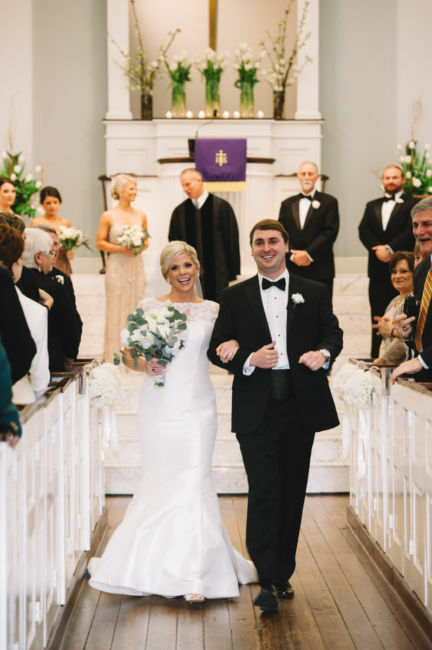 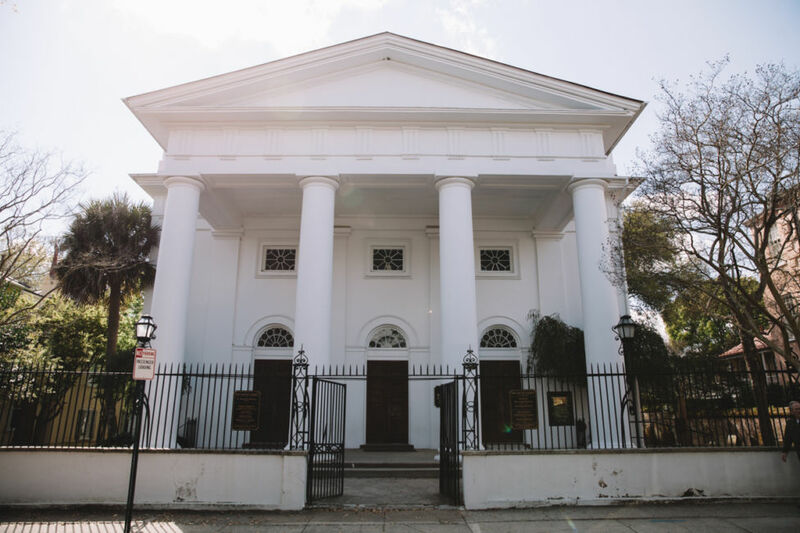 The couple chose to have their ceremony at the historic First Baptist Church on Meeting Street. 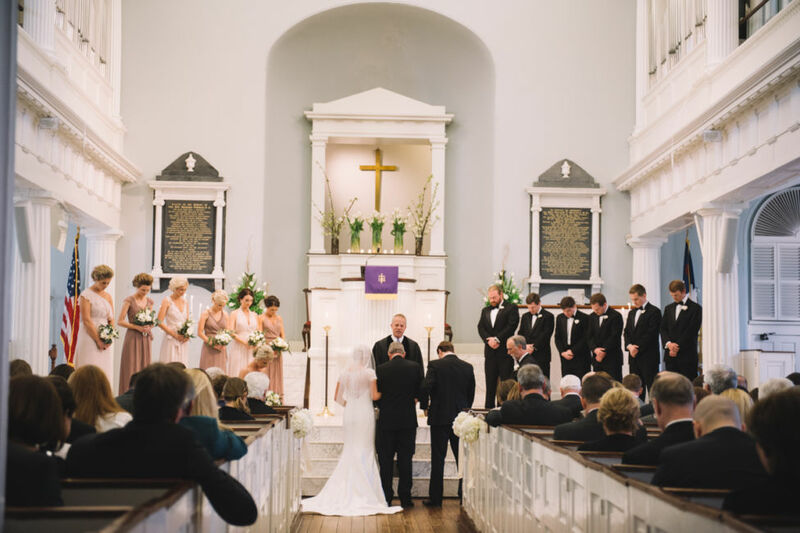 The church was filled with guests who had traveled near and far to witness the vows. 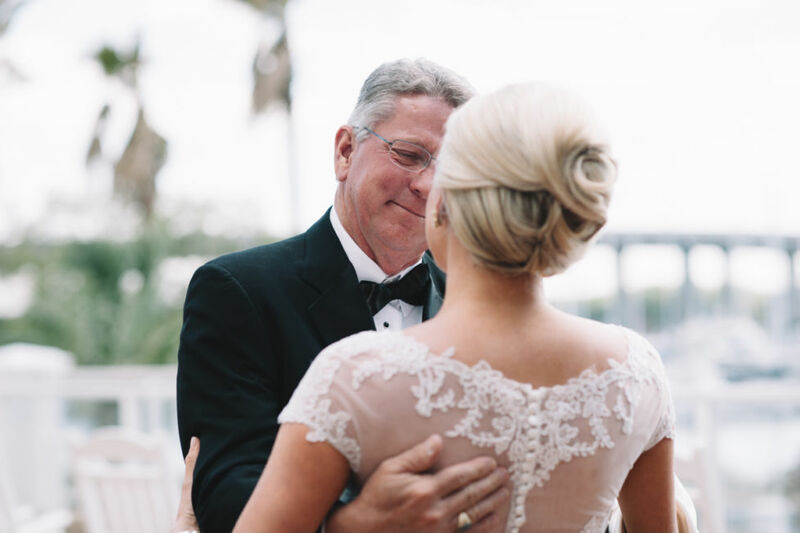 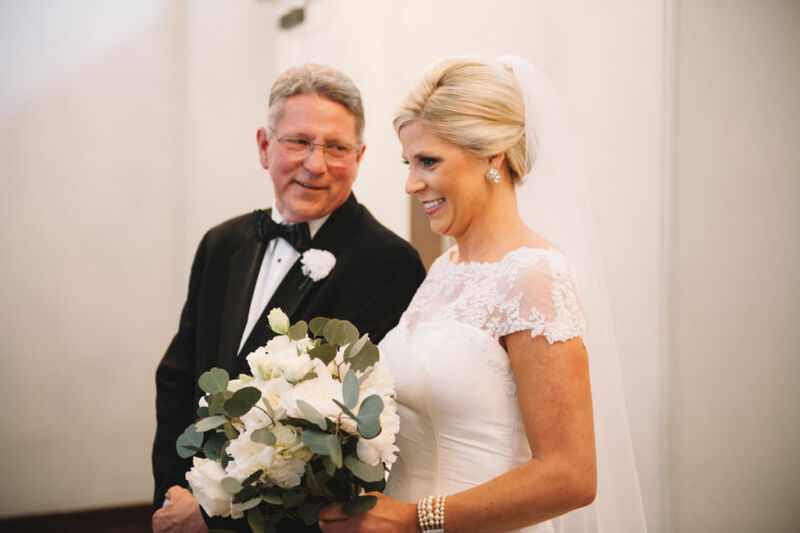 Lindsay was stunning as she walked down the aisle with her father. 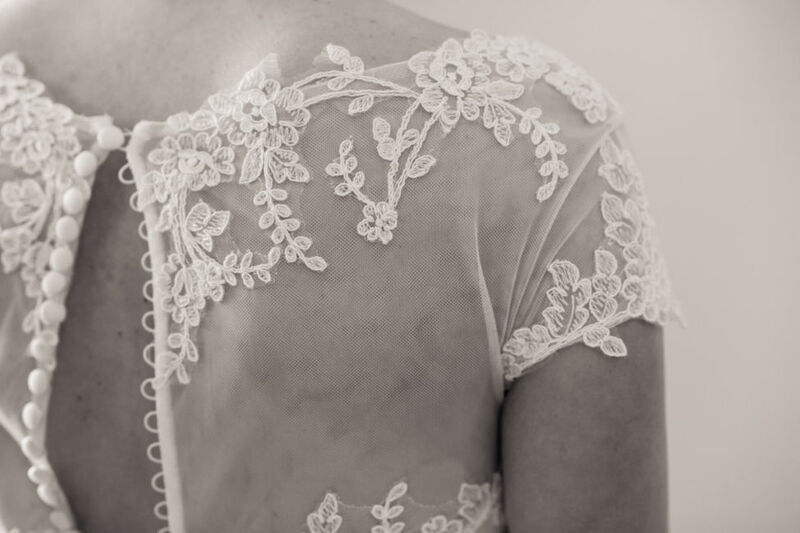 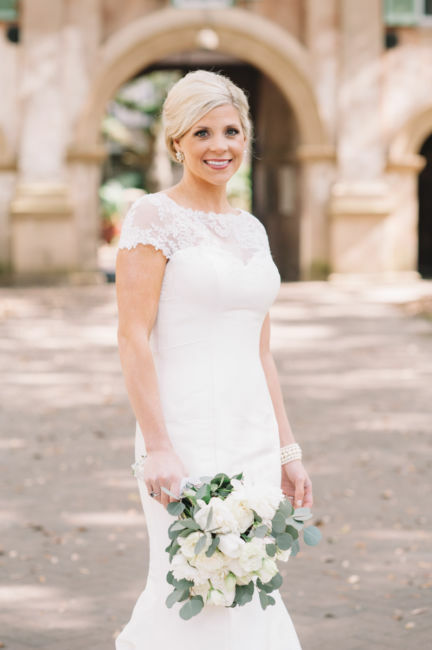 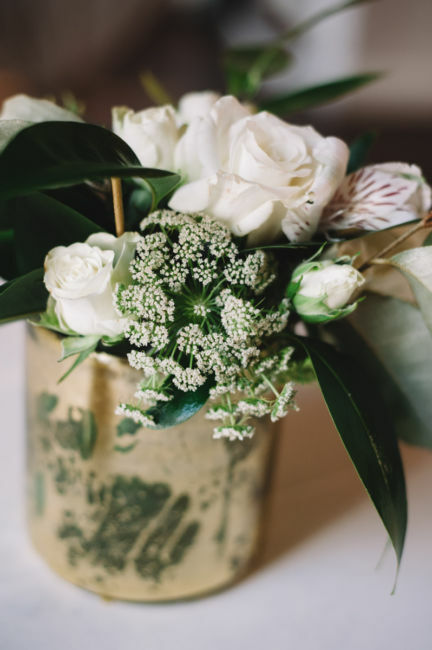 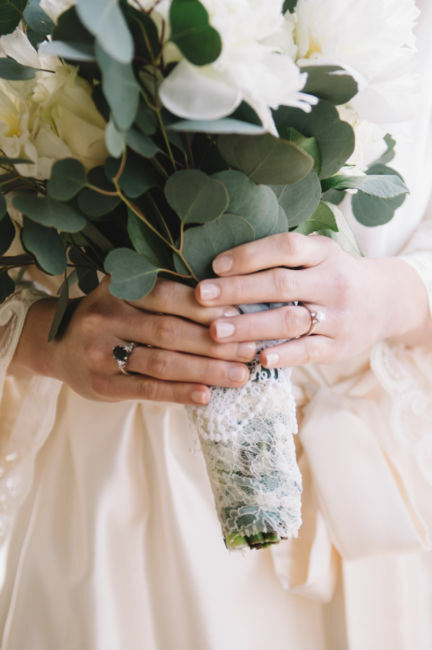 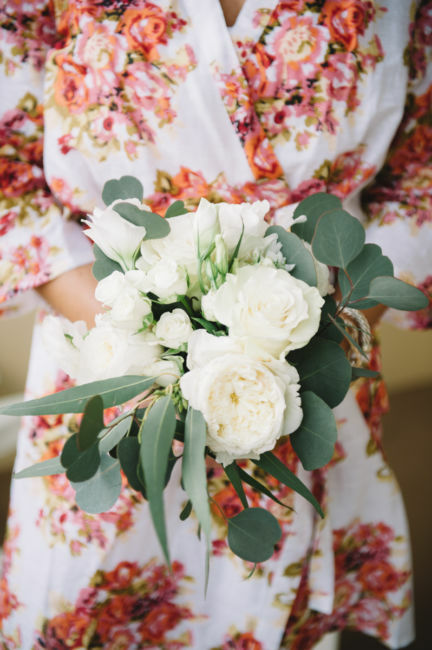 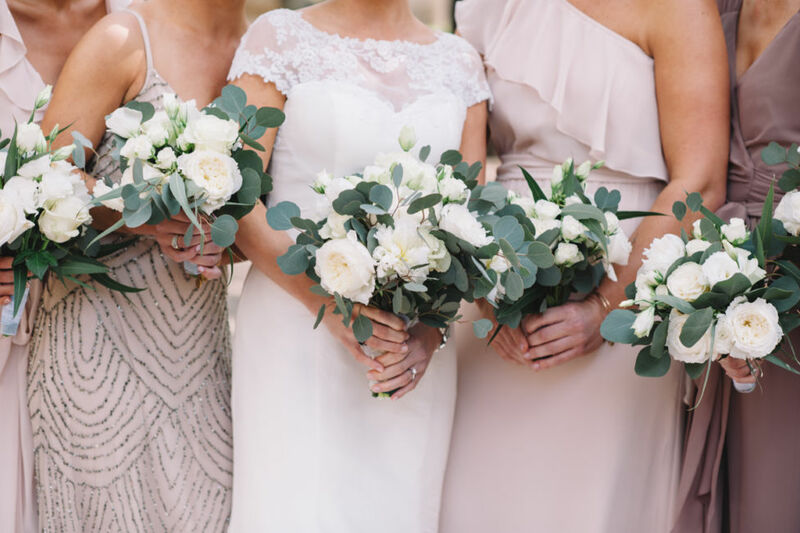 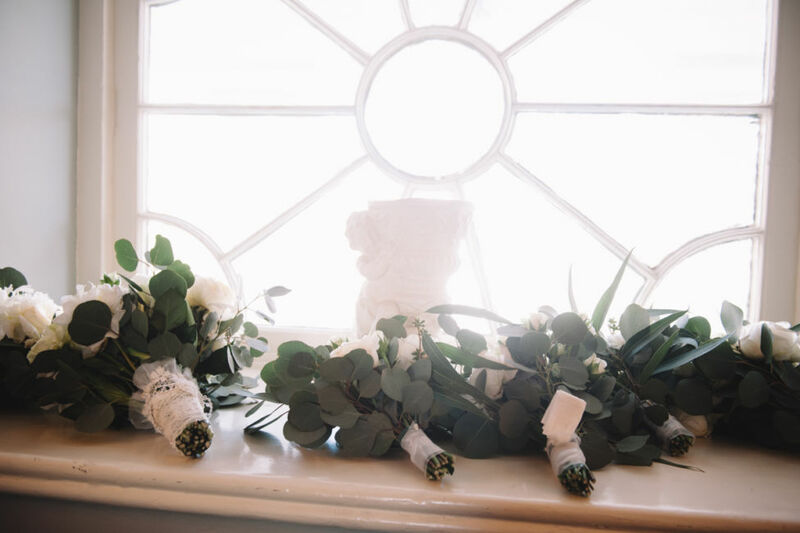 Lindsay’s white rose bouquet was wrapped with lace taken from her mother’s wedding gown. 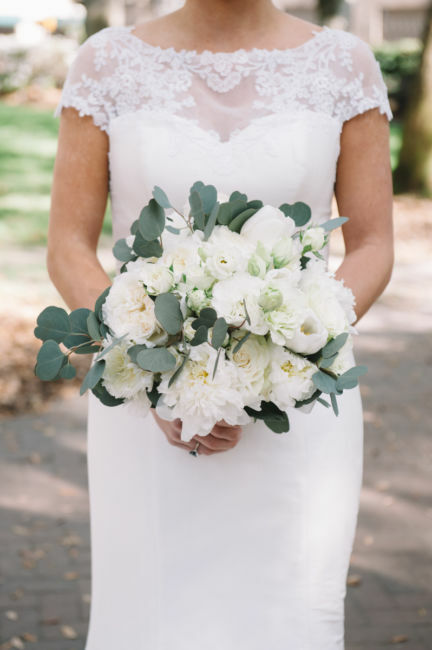 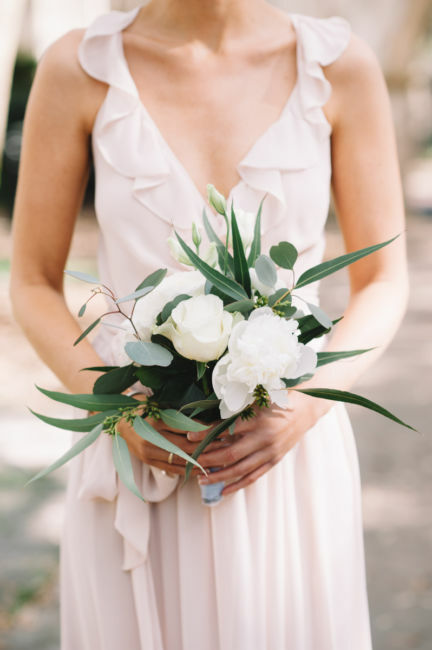 All of the white flowers had a bit of greenery including eucalyptus. 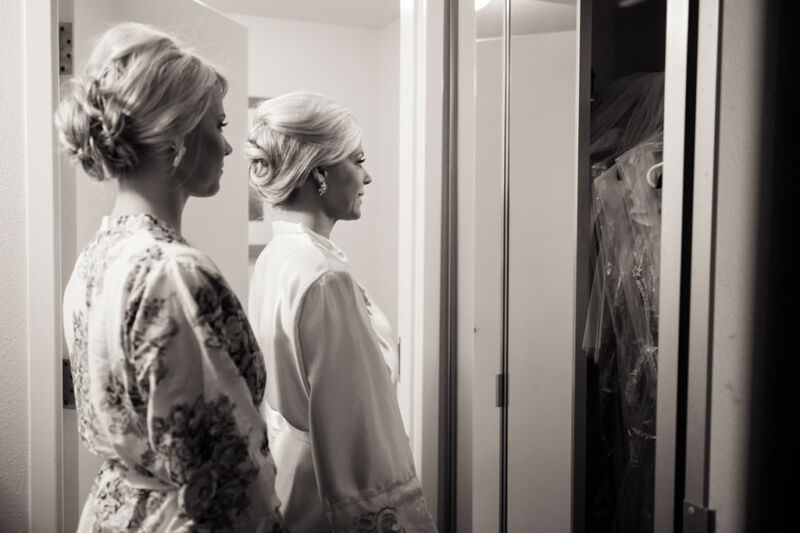 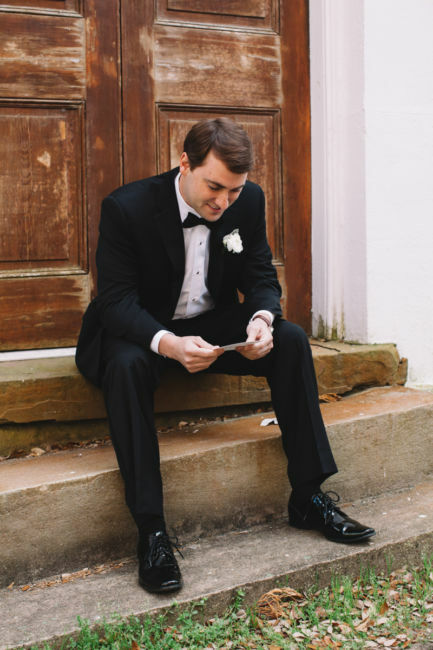 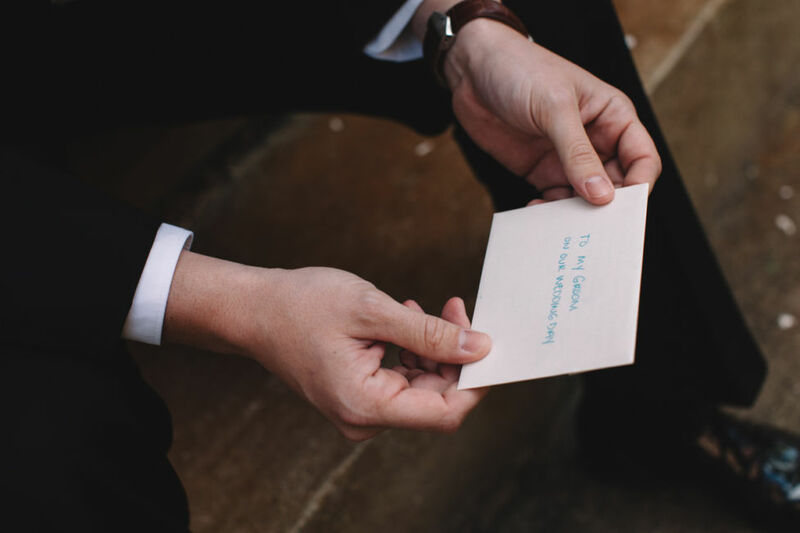 As they saw each other both Walker and Lindsay were remembering the meaningful love notes they had written and read before the ceremony. 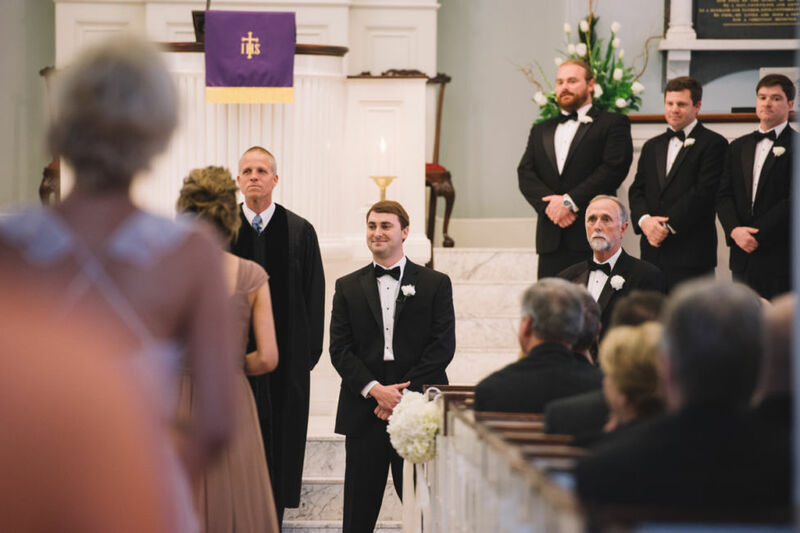 Walker’s Young Life leader, a major influence on Walker’s faith throughout the years, was chosen to perform the ceremony. 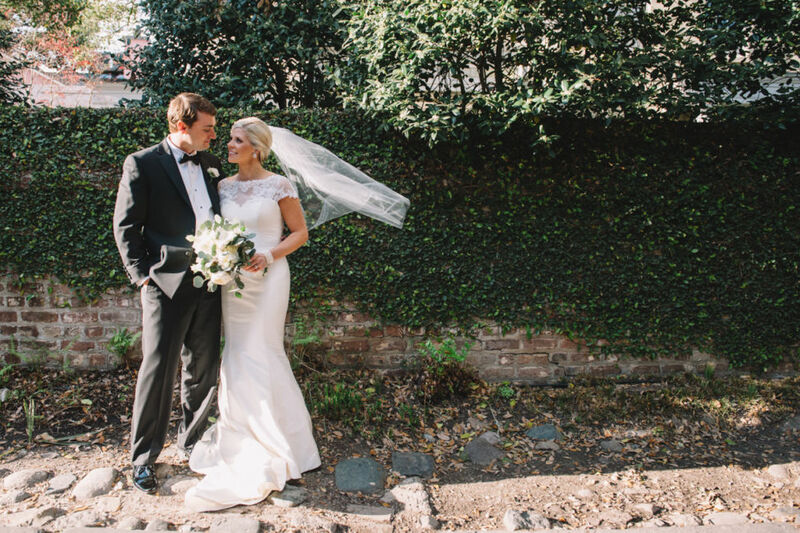 Lindsay and Walker slipped away with me after the ceremony to take their first pictures as husband and wife! 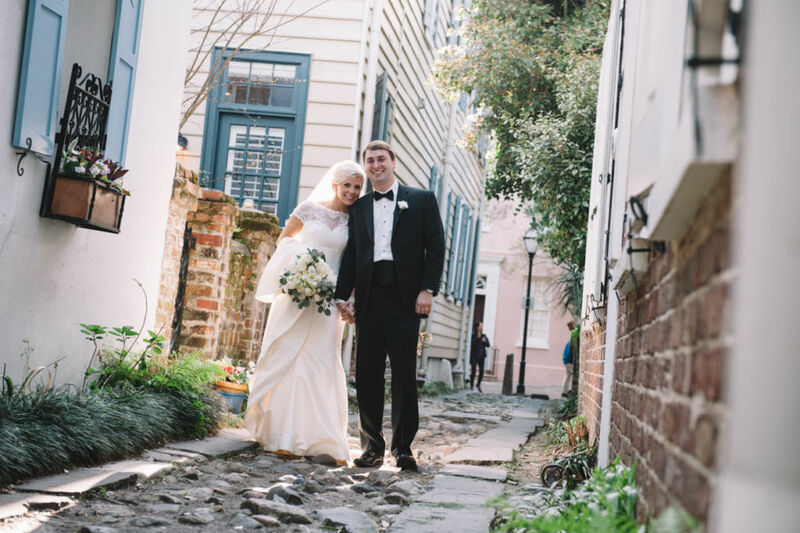 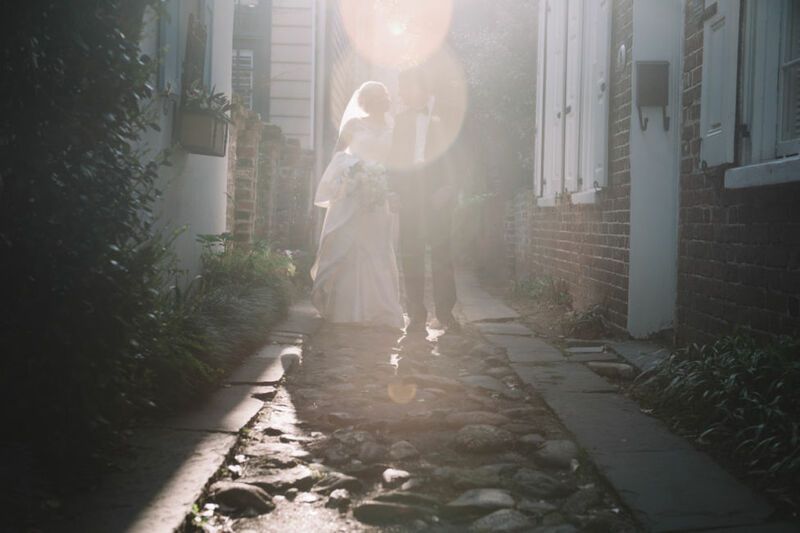 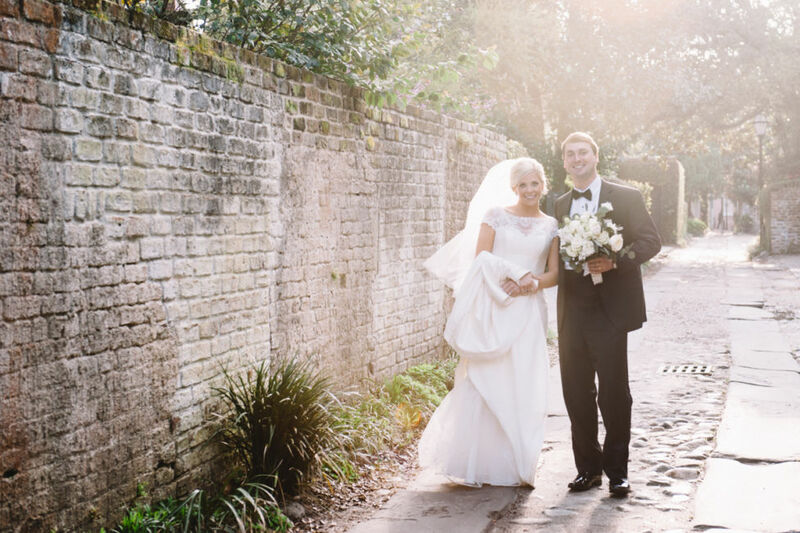 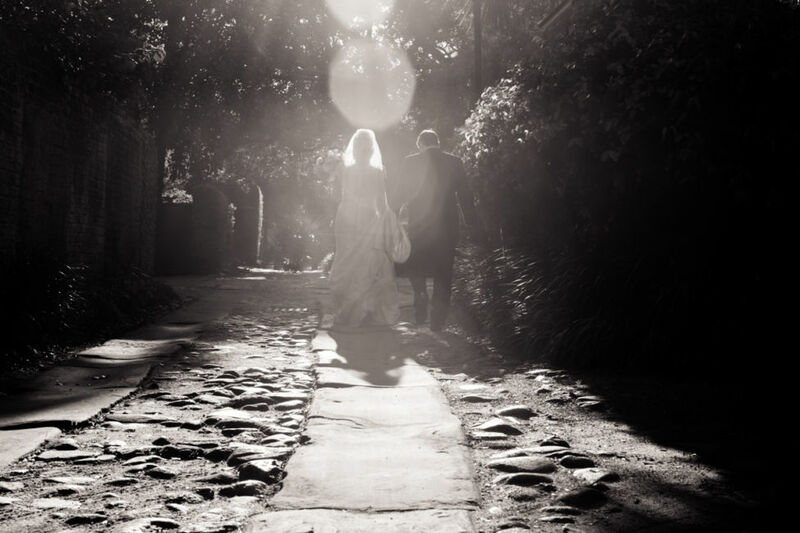 We traveled to a famous alley in Charleston called Longitude Lane and it was the perfect place to photograph the new Mr. and Mrs. Brownlee! 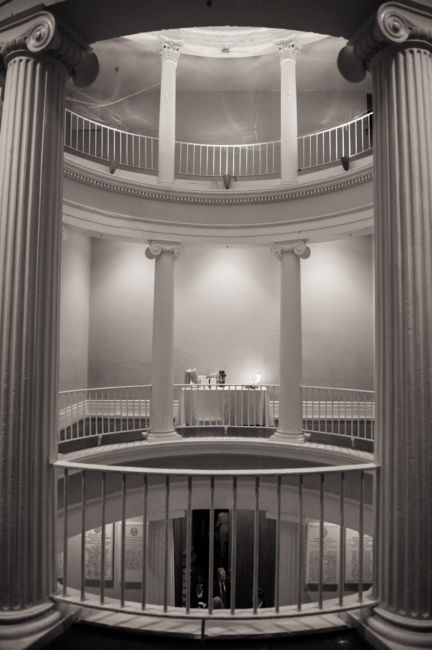 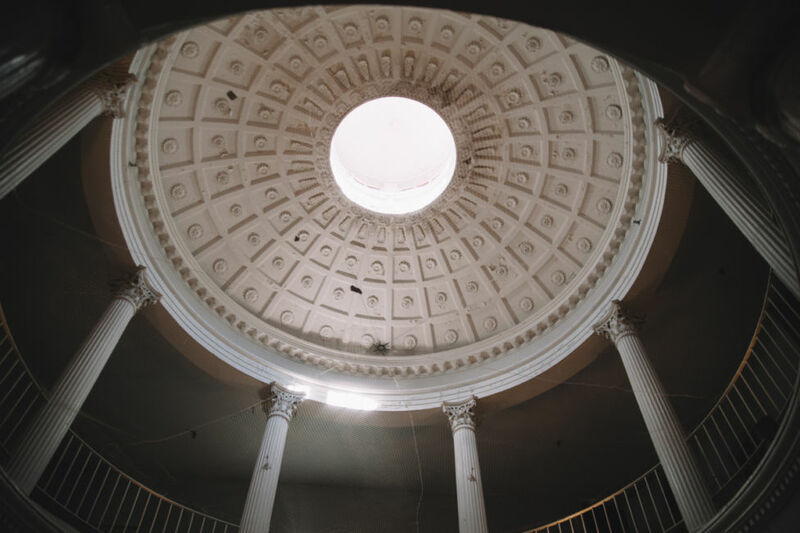 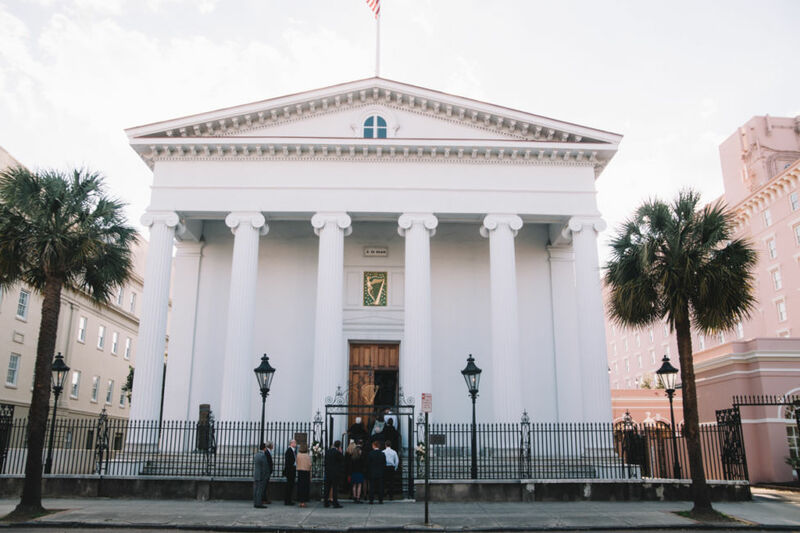 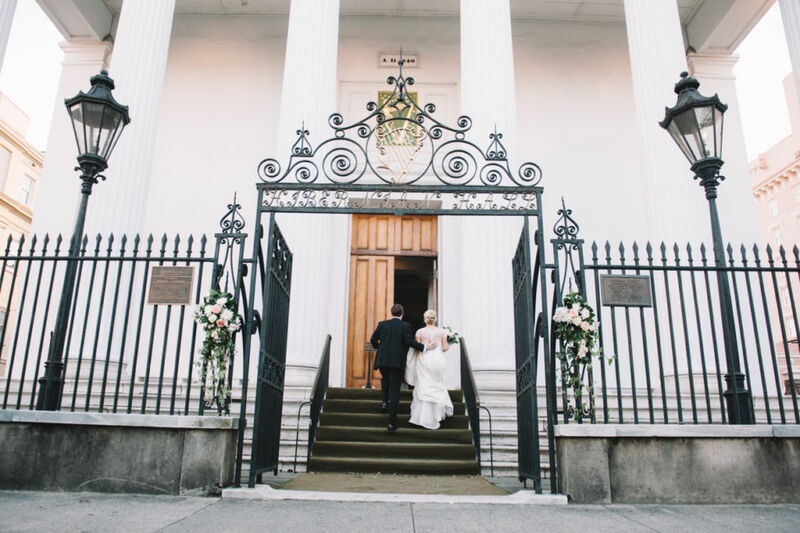 Again on Meeting Street, the historic, classical Hibernian Hall rotunda soared above family and friends as they happily arrived and entered for the wedding reception. 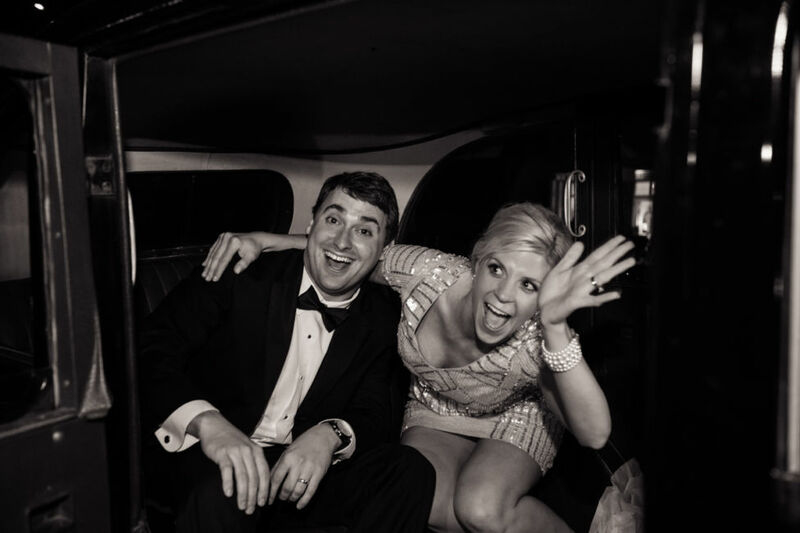 Cheers to all!! 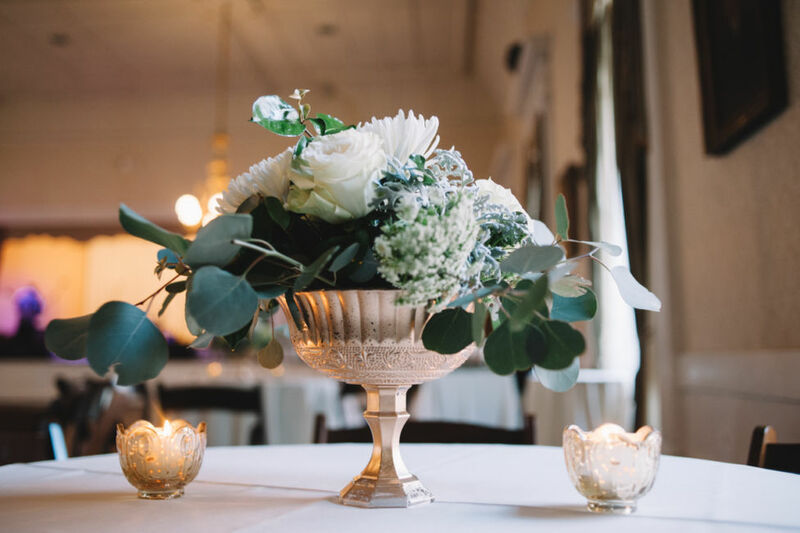 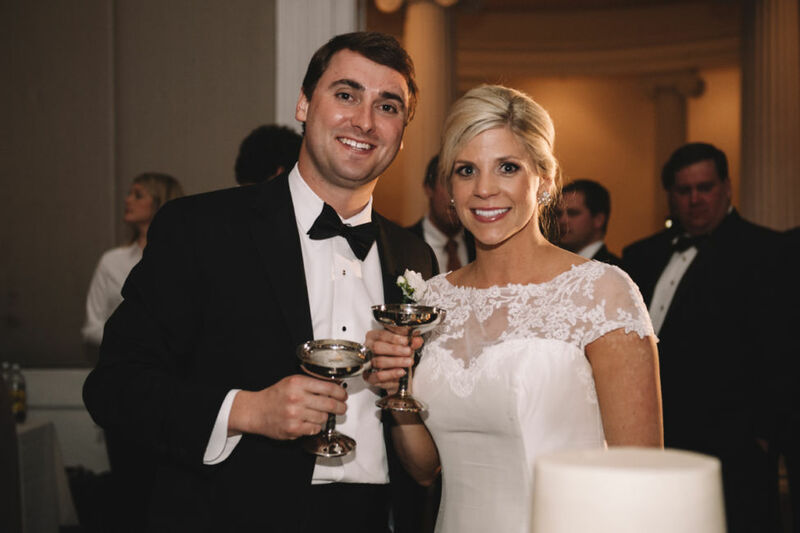 The couple toasted to their guests and themselves with silver champagne goblets which Lindsay’s parents had used at their own wedding. 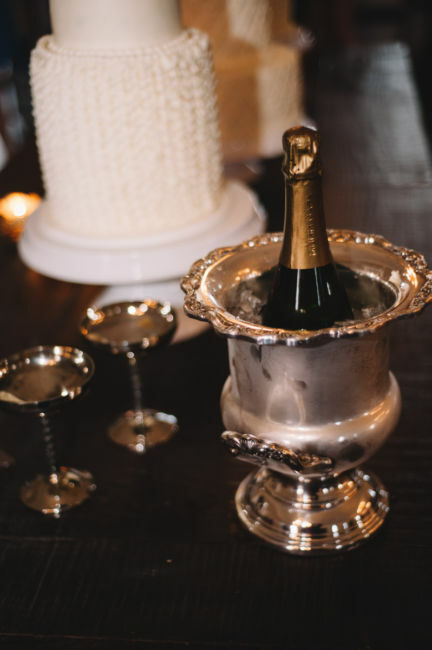 I was thrilled when I saw them because my parents had used similar goblets when they were married. 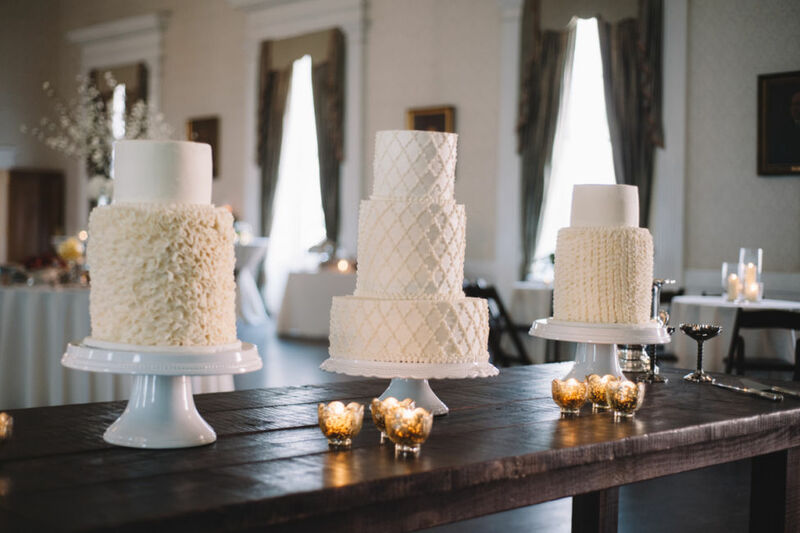 The three wedding cakes were scrumptious and the elegance of the design was simple sophistication. 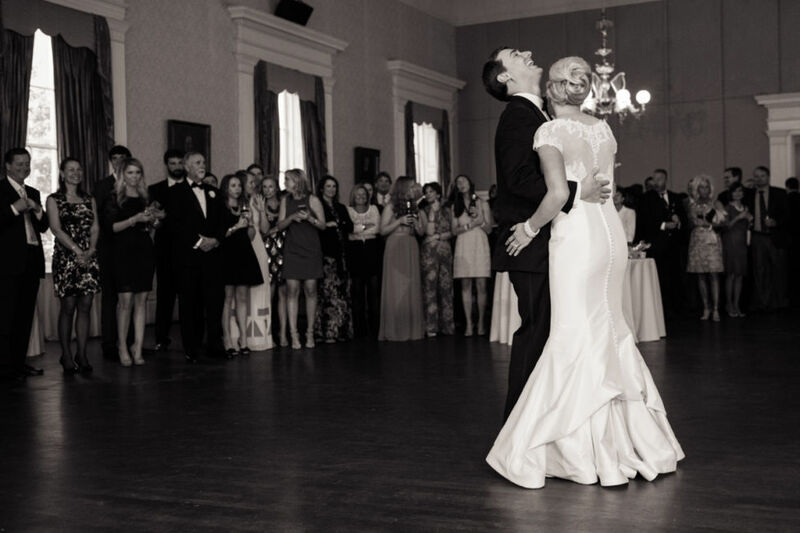 The band provided just the right upbeat tunes to keep the happy guests dancing! 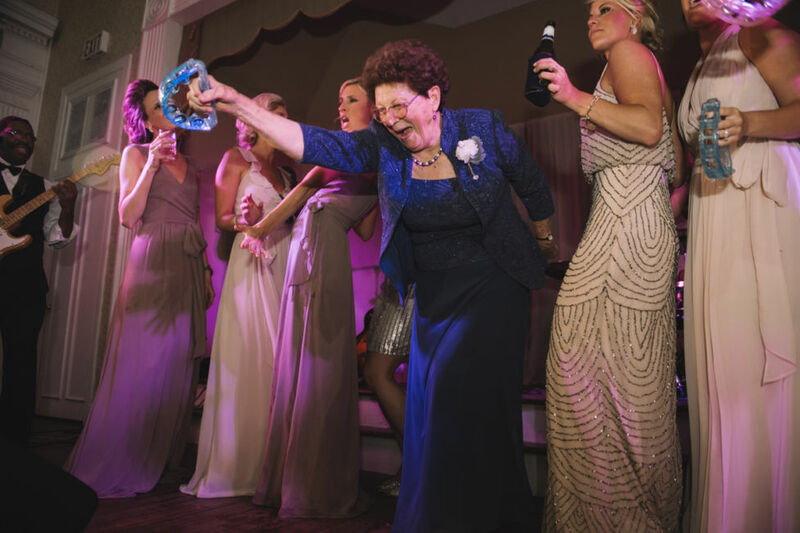 Lindsay’s maternal grandmother expertly danced on the stage with her granddaughter and daughter! 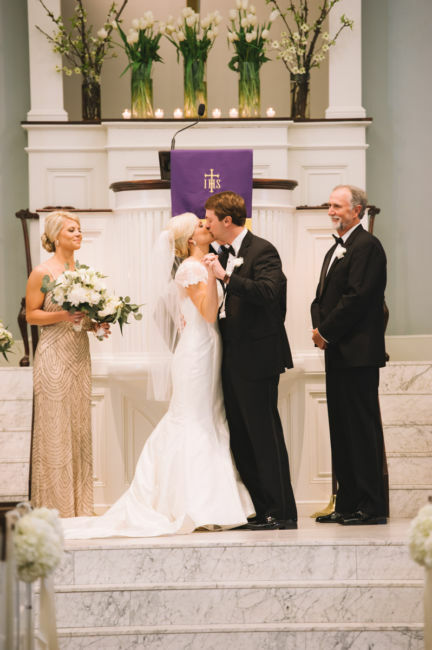 Lindsay also had a solo moment on the stage in her second dress of sparkly sequins! 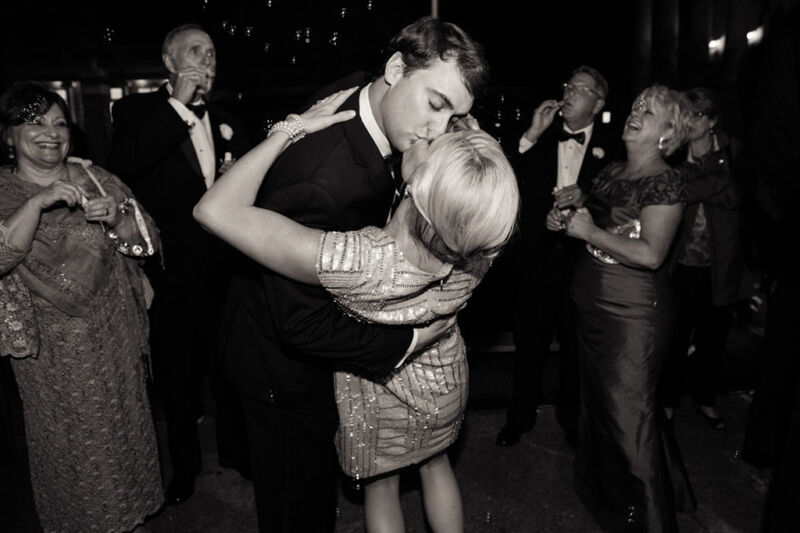 The love between Lindsay and Walker continued to shine through as the night went on. 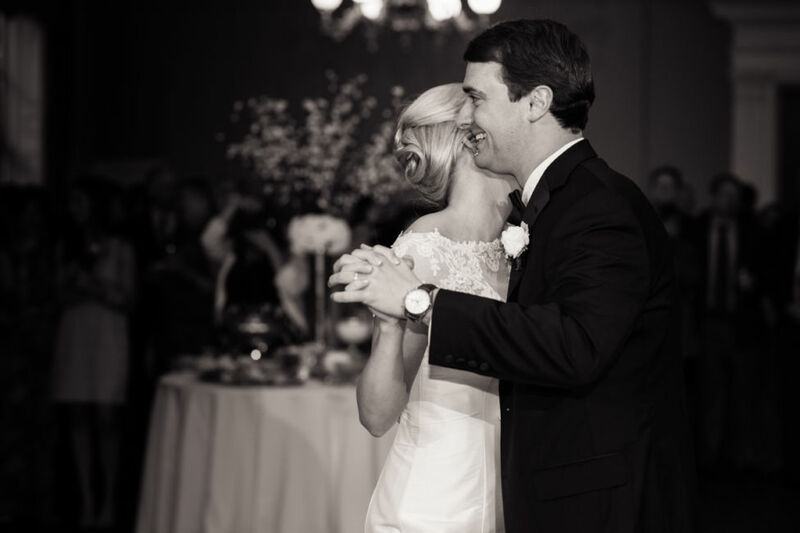 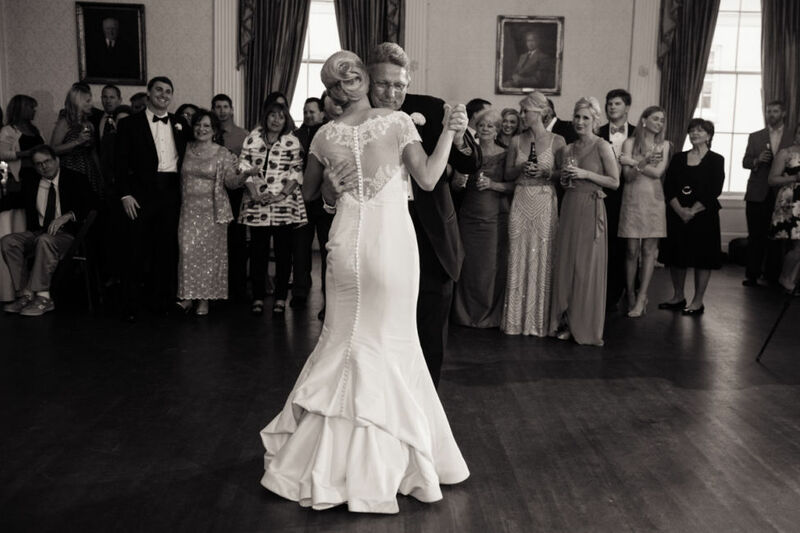 They danced, celebrated, hugged with friends and family all feeling the love! 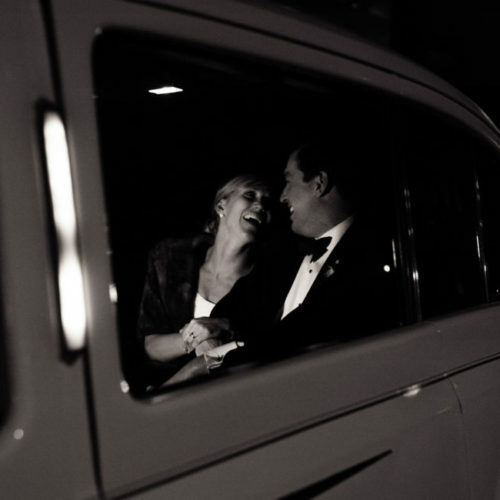 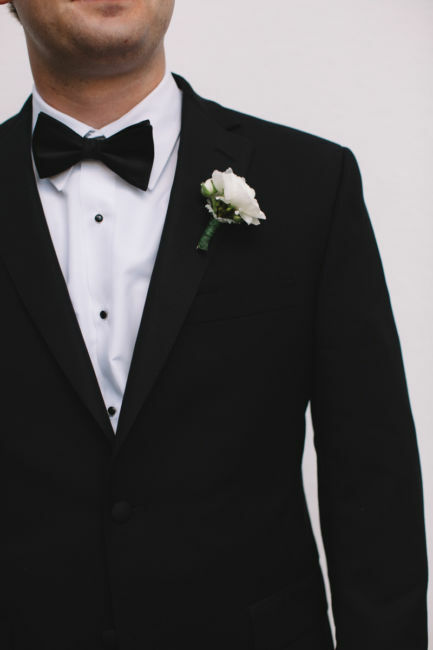 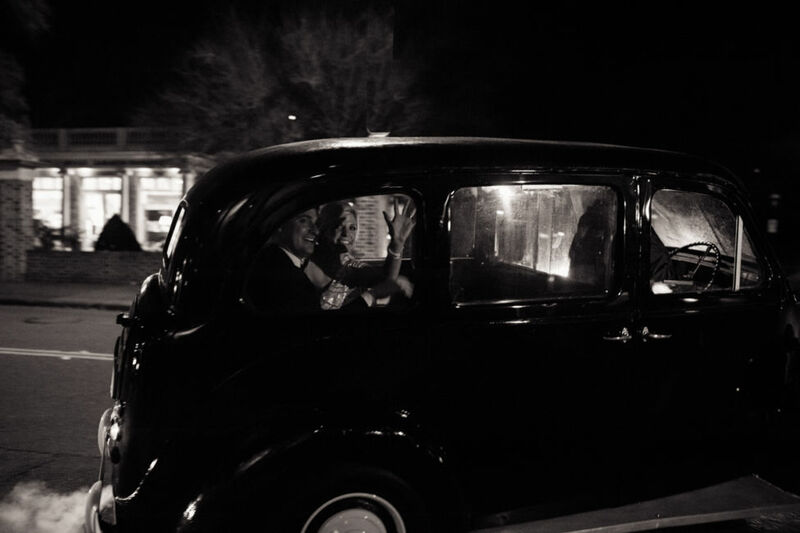 A black vintage car cab was awaiting to carry the bride and groom away as the new Mr. and Mrs. Brownlee. 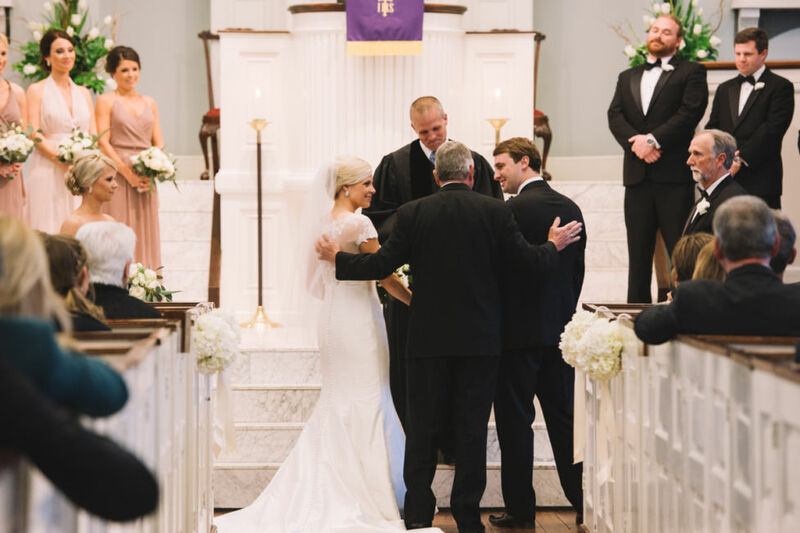 Being a part of Lindsay and Walker’s wedding day was such an honor and I wish them a lifetime of love and happiness as they begin their life as husband and wife! 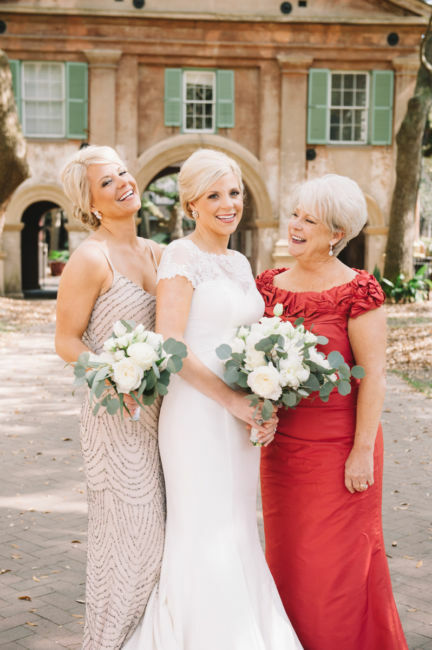 Special thanks to Shannon and Sally for helping me with shooting on this fun day!